Trilobite fossil. 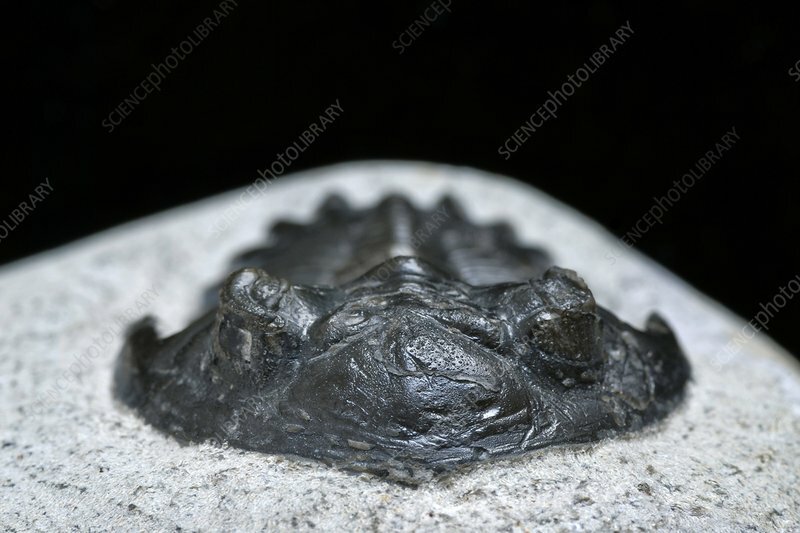 Fossil of a trilobite (Metacanthina barrandei) from the Devonian period (around 416 to 360 million years ago) in its host rock. Trilobites are extinct hard-shelled, segmented arthropods that lived in ancient seas. They are considered one of Earth's earliest, complex life-forms and are one of the most well-known creatures of the Palaeozoic Era. Trilobites existed between the Cambrian and Permian periods around 542-250 million years ago, and were mainly bottom-feeding, scavengers.